Events Announcements #YouTubers: Sam Tsui & Kurt Schneider To Hold Live Concert This July! 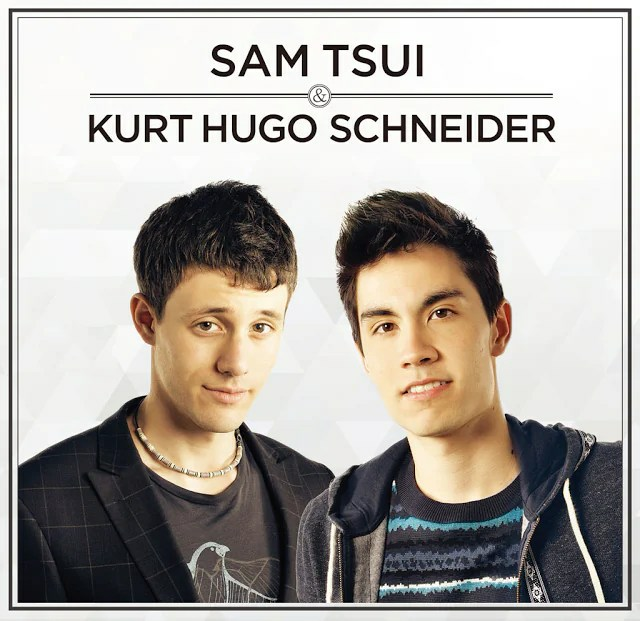 #YouTubers: Sam Tsui & Kurt Schneider To Hold Live Concert This July! YouTube superstars Sam Tsui and Kurt Schneider will be holding a one-night-only live show in Malaysia this July! This is not the first time the musical duo has performed in the country. In June 2014, they held their Asia Tour concert at KL Live, Kuala Lumpur and it attracted over 2,000 fans. Kurt Hugo Schneider is a singer, songwriter, musician director and producer of films, music videos, and recordings. The multi-talented YouTuber started producing music videos on his YouTube channel since 2007 and he has over 7 million subscribers. The songwriter has also collaborated with other YouTube singers such as Tiffany Alvord, Alex Goot, and Chrissy Costanza from Against the Current, and Kina Grannis. Shot a little video w @madilynbailey 😛 more great stuff coming sooooon! Meanwhile, Sam Tsui, who is of American-Hong Kong descent, is a singer and musician and he has been making music on his YouTube channel since 2011. With over 2 million subscribers, he is best known for doing various creative covers of popular songs by Britney Spears, Lady Gaga, Adele, Bruno Mars, and many more. He recently “came out” and married fellow YouTube musician, Casey Breves, on 16th April. Concert tickets are already on sale via TicketPro Malaysia. For more information, check out TicketPro Malaysia’s website and Facebook page. Love new experiences and the colour purple. Did I also mention that I am obsessed with K-pop as much as I am with food? Sam Tsui & Kurt Schneider Live in Malaysia!